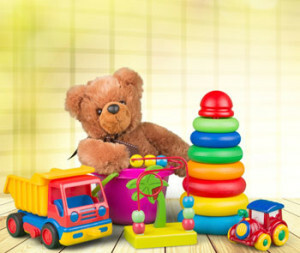 Wholesale Baby Toys both educational and fun. If you have ever wondered if your shop or retail outlets might be missing some of the top selling lines. Maybe you should consider selling Baby & Children’s toys. A&K hosiery’s toys have been selected with 3 things in mind. They all represent great value for money, and are either educational or fun. And of course with A&K all our toys meet all the required standards. According to Report Buyer the Toy & Games online market is one of the best sellers in all retail categories, with 36.8% of toys & games being sold online in 2017 I am sure you will agree that’s a lot of toys being sold online. Finding the right toys at cheap wholesale prices is not easy, so akhosiery.co.uk has sourced for you a fantastic collection of wholesale toys, at super trade prices to give your customers some great buying choices. From parents to grandparents, to aunts and uncles, everybody loves those little gifts for the children. So why wait any longer you can quickly add some super Wholesale Toys to your Amazon or eBay store or shop. This entry was posted on Thursday, August 30th, 2018 at 12:04 pm	and is filed under New Products & Specials, News, Wholesale Baby. You can follow any responses to this entry through the RSS 2.0 feed. Responses are currently closed, but you can trackback from your own site.